He could have ended up in a shelter, but Jumpy the Border Collie mix became a movie star instead. Thanks to Hollywood dog trainer Omar von Muller, this formerly unwanted dog — who barked his way out of a home as a puppy — is now making himself comfortable on film sets. That statement means a lot coming from Omar. After all, one of his other dogs, the late Uggie, charmed the world with his performance in the Oscar-winning silent film, The Artist. Uggie’s career was in full swing seven and a half years ago when Omar first met Jumpy. The dog trainer was keeping an eye out for a Border Collie who could follow in Uggie’s Hollywood footsteps when he saw a classified ad offering a Border Collie pup for sale. After driving two hours to meet the dog, Omar was underwhelmed and returned home alone. Not wanting the poor pup to end up as a stray or in a shelter, Omar agreed to take Jumpy. He imagined he would train the dog a bit and then find him a new home with someone else. “I took him just to get him out of that situation, to keep him out of the dog pound,” says Omar, who could just as easily be talking about Uggie. Like Jumpy, the famous terrier was also a high-energy pup about to be surrendered to a shelter when he ended up with Omar instead. In both cases, a temporary arrangement turned into a forever home. Omar saw potential in the high-energy behaviors other people perceived as problematic, and as Uggie appeared on red carpets, Jumpy slowly but surely learned constructive (and entertaining) ways to get his energy out. 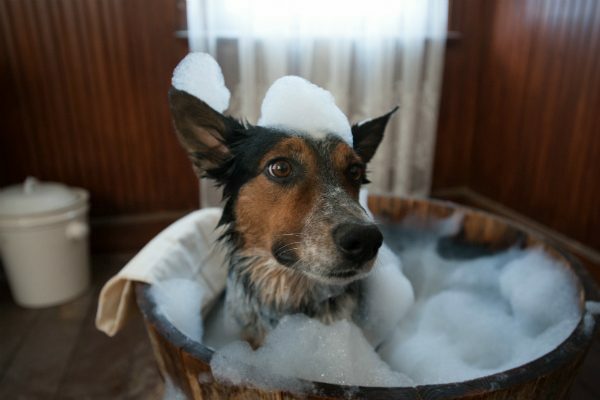 Under Omar’s tutelage, Jumpy has become a viral sensation and successful canine actor. His YouTube videos have been watched millions of times, and he has appeared in commercials, television shows, and feature films. 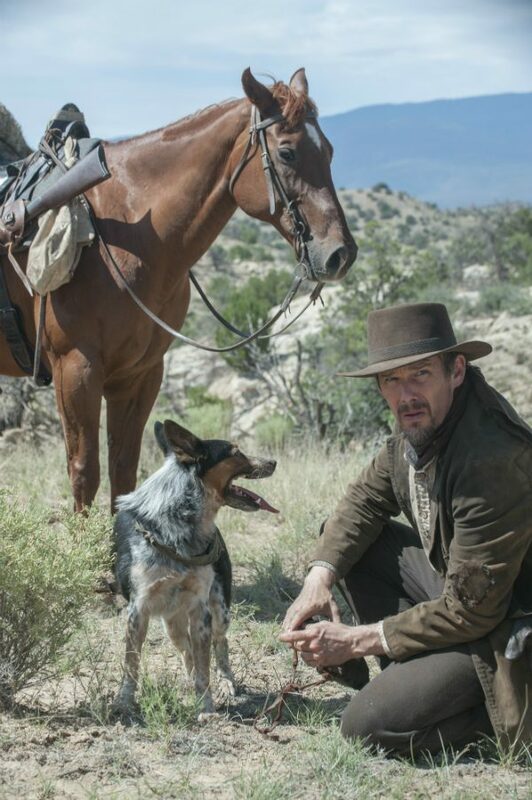 His latest movie, Ti West’s In a Valley of Violence, co-stars Ethan Hawke. The western follows Hawke’s character and his trusty dog (Jumpy as “Abbie”) as they find themselves in a town where the Marshal (played by John Travolta) isn’t exactly welcoming. Jumpy’s is a dramatic role in a movie not short on gunslingers. Although the subject matter is quite different from his last movie, Pups United (in which Jumpy plays Rex, a talking dog and sports mascot who discovers an evil plot to ruin a youth soccer tournament), Omar says Jumpy was impressive playing opposite Hawk’s mysterious drifter and enjoyed the challenging nature of the role. According to Omar, Jumpy likes parts that require more than just sitting or staying. Jumpy is so smart, so well trained, that Omar says he doesn’t even have to read scripts — a rarity in an industry where trainers are often given early drafts months in advance. Whatever Jumpy needs to learn for a gig, he can master in five minutes flat. Get In a Valley of Violence showtimes and On Demand info at the movie’s website. The post Unwanted as a Barky Pup, Jumpy Grew Up to Become a Movie Star appeared first on Dogster.